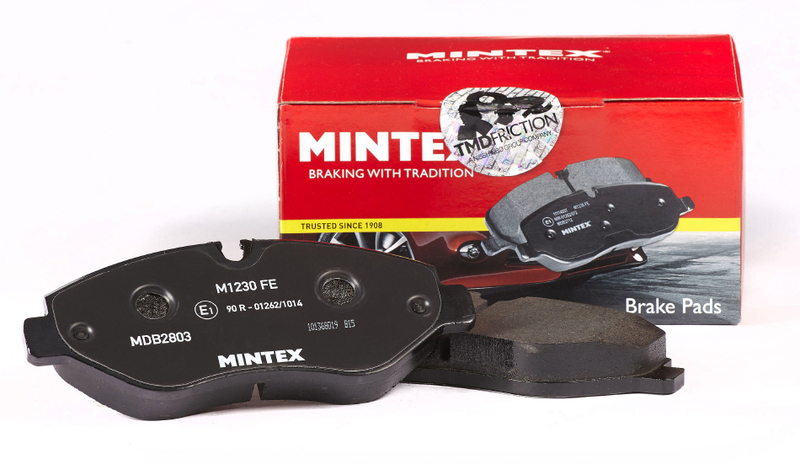 Premium aftermarket brand, Mintex, has added to its expansive product range by manufacturing front and rear brake pads for the Jaguar XE 2015 and Land Rover Range Rover Evoque 2015, along with a selection of other marques. The company has also started manufacturing aftermarket pads for the Jaguar XF 2015, Jaguar F-Pace 2015, Land Rover Discovery Sport 2014, Volvo S90 2016, Volvo V90 2016, Volvo XC90 2014, Mazda 2 2014 and Vauxhall Astra 2015. As part of global OE manufacturer TMD Friction, the brake pads are precision engineered to match the vehicles’ original braking systems, and work to complement the wide range of Mintex products. Mintex also benefits from TMD Friction’s unrivalled commitment to research, development and innovation, with each friction material going through a rigorous development process, which takes at least two years to ensure it is the best it can be. With more than 100 years’ experience, Mintex provides a complete aftermarket braking solution for millions of cars around the world. Over this time, Mintex has consistently demonstrated a commitment to ongoing product development and is the name behind the brakes keeping families and motorsport champions safe every day.